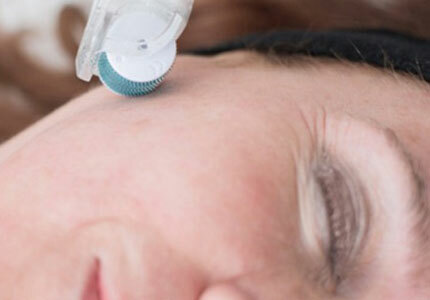 COMCIT – Cryo Oxygen Microchannelling Collagen Induction Therapy. 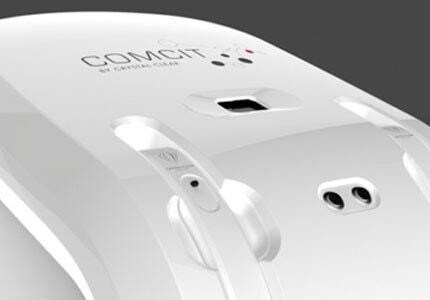 Introducing COMCIT– our most intensive rejuvenation system yet! COMCIT acts radically on marked and fatigued skin which immediately regains firmness, tone and radiance as well as instantly smoothing, refreshing, plumping and making skin appear more youthful. 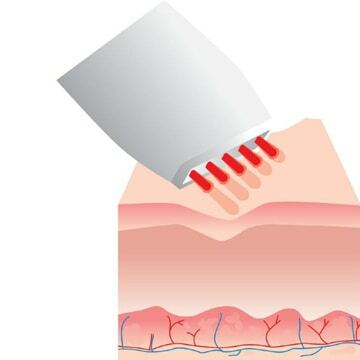 During your treatment our cellular infusion solution is driven into the skin through the micro-channelling dermaroller into the layer of the skin where the ageing process begins, this tackles the problem where it starts. Known as the treatment to the stars, this CACI Ultra facial will leave you with smoother, lifted, firmer, plumped and more hydrated skin. With a facial peel to remove dead skin cells, a wrinkle comb with LED light therapy to banish wrinkles, followed by a Hydratone mask with face firming rollers for intensive moisturising. This is finished with the facial toning, non-surgical face lift, where tiny electrical impulses firm and tone sagging muscles, smoothing the appearance of lines and wrinkles. This facial treatment lifts, tightens, tones and re-educates the facial muscles whilst smoothing the appearance of fine lines and wrinkles. Skin is beautifully re-hydrated whilst tone and texture is improved leaving skin with a wonderful glow and a firmer more supple appearance. A course is recommended to give long lasting results. Concentrating on the delicate eye area, this treatment lifts, smooths and plumps, erasing fine lines and re-hydrating and repairing the eye area. 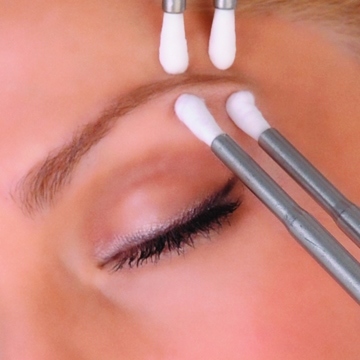 Puffy eye bags are visibly diminished and wrinkles dramatically reduced leaving eyes tighter and fresher. 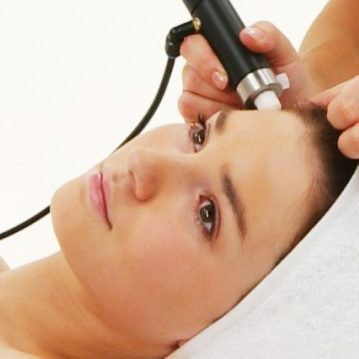 Specific problem areas can be treated such as stretch marks, deep lines, and wrinkles with the high frequency electrical stimulation of the wrinkle comb (an alternative to collagen injections & dermal fillers). 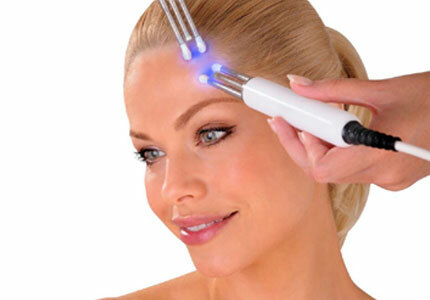 The healing properties of LED photo therapy can help acne, psoriasis & eczema. The eyes really do have it! They are the first thing we notice about each other, and are seen as the reflection to our emotions. Even the most beautiful eyes need to be nurtured to keep them bright, sparkling and youthful. They are the most delicate areas of the body and can be the first to show signs of ageing, stress or too many late nights, isn’t it time to start giving them the attention they deserve? Common problems that begin to manifest: sagging, puffiness, wrinkles, crow’s feet, fine lines, dark circles, and loss of elasticity. This amazing process propels millions of tiny aluminium oxide crystals onto the skin for gentle epidermal abrasion that reveals new, healthier, younger skin. 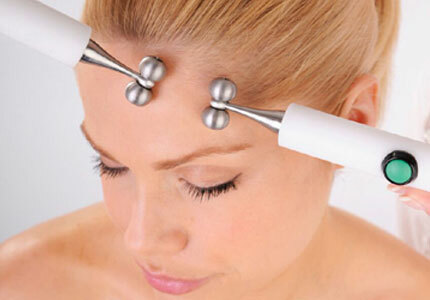 This treatment improves pigmentation caused by hormones or sun damage, congestion and smooths fine lines and wrinkles. Results are visible immediately and skin is incredibly softer. But to achieve a clear, healthier complexion or to treat lines, pigmentation or scarring; a programme of regular treatments is recommended.